I’m so addicted to english muffins. If I buy a package, I end up eating them all within the week. Once they’re toasted and smeared with peanut butter, honey or jam, I cannot resist. They’re the perfect snack or breakfast! They’re so good, yet too expensive for my tastes. I’ve been searching for the perfect recipe for awhile now, and this one is really simple. I love it when I have all the ingredients at home! My brother, Zach, makes amazing jam. The one in these pictures is blueberry. SO delicious! 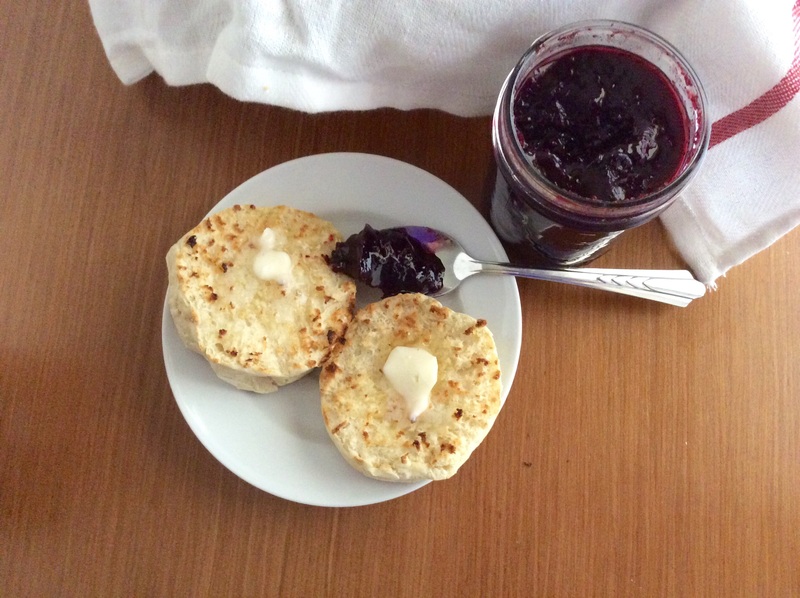 It’s hard to get an english muffin recipe that makes all those nooks and crannies, but this one was really tasty and easy! It has enough nooks and crannies to satisfy me, plus that slightly chewy texture I was looking for. The first recipe I tried I ended up with dozens of rolls. Flat, unappealing rolls. This was much more like it. I mean, look how tall they got! Give this recipe a shot! It’s quick and simple, and you’ll save some money. Never a bad thing. Plus, if you have a bunch of yummy, homemade jam, you NEED these! In a large mixing bowl, stir flour, yeast, salt, and sugar together. Add water and yogurt. Mix until you end up with soft dough. Knead dough for 5 minutes or until smooth, adding a little more flour if it gets too sticky. Let dough rest for 5 minutes. Roll dough out gently to a thickness of ~1/2 inch. Fold dough over itself. Cut out circles with a 3-inch round biscuit cutter. Place on greased cookie sheet. Cover with towel and let rise in a warm place for one hour (should be doubled in size). Heat skillet until hot and lightly oil. Add muffins and cook for 16 min on medium heat, 8 min on each side, until firm and golden brown. Serve with butter and jam. Love this recipe! It seems so easy and I have this stuff at home at all times. Yeah, that was my favorite part of it! 🙂 I ate them up in a few days, they were so tasty! Enjoy! These look perfect! 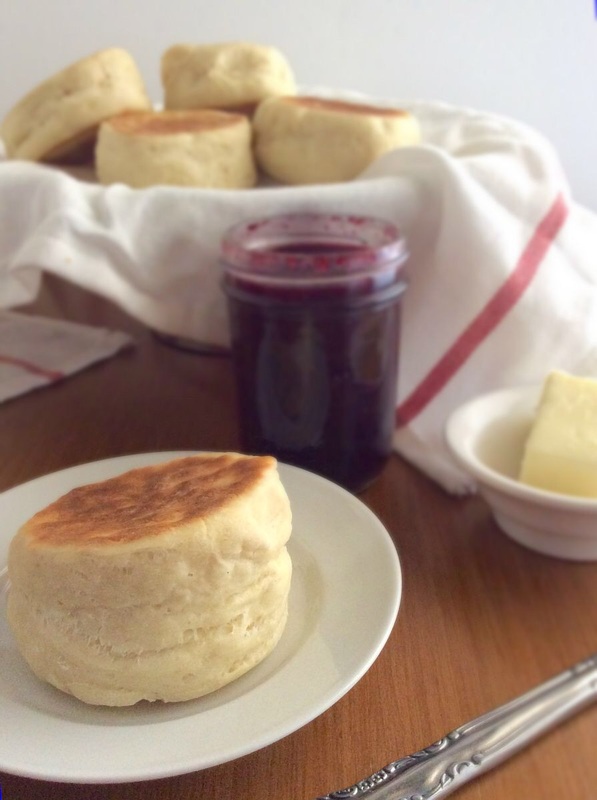 I love english muffins, but I have to say these look way better than the store bought variety. I’m pinning it now and hope to try it soon! Thank you! I liked them more than the ones from the store, and I love those. Enjoy! Love how puffy these are! I bet they taste great toasted with some butter. 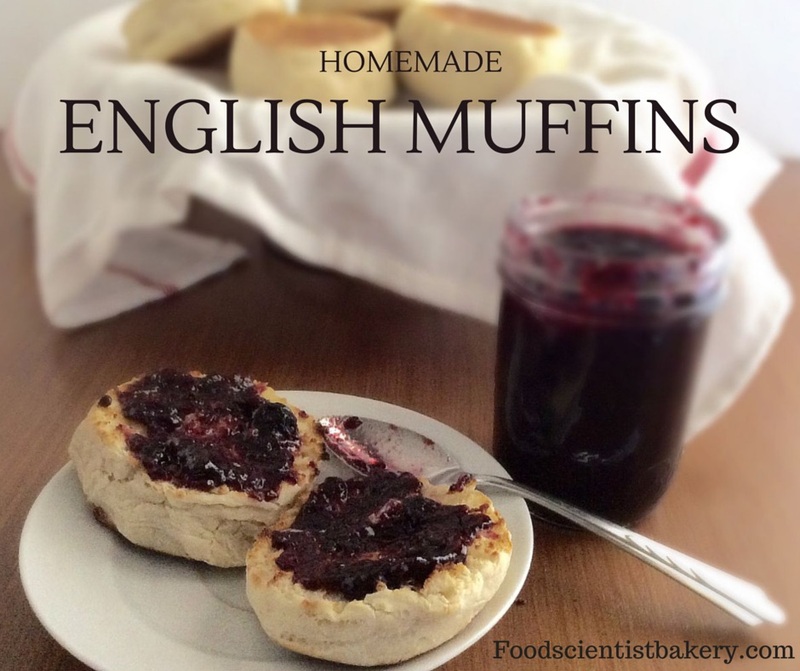 I always buy english muffins from the store too! Yeah, they puffed up perfectly! I was so excited about that!